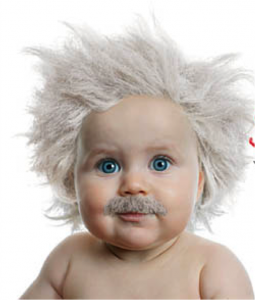 Where do great ideas come from? They come when we take our adult experience and combine it with something that many of us have forgotten – how to think like an eight year old. We were all eight years old once. It’s a time of boldness; magic; and genius. If only we can recapture that simplicity; that creativity; that unshakable belief that anything is possible, we can create a wealth of new ideas, new opportunities and new possibilities both in our work and in our everyday lives. School of Curiosity founder, Malcolm McClean, will be reminding you how to shake off the mental locks that have trapped your inner eight year old, at our ‘End of Summer School’ 23-25 October, Villefranche-sur-Mer. It’s not a lecture, it’s an experience, just like everything else at the school. There’s still time to drop everything and come. You can download the full prospectus here. If you are in a hurry go straight to the booking page here. Boldness; Magic; Genius; and all for £199….we must be mad. 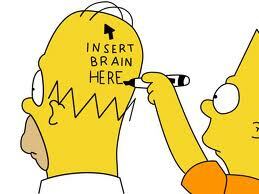 Homer Simpson makes the cut? News just in from Tom Calderbank, The School of Curiosity’s resident philosopher, poet and rescuer of ancient buildings. After much deliberation he has made his list of philosophers to be discussed when he guides The Villefranche Walk of the Philosophers through the medieval Old Town, during our “End of Summer School’ 23-25 October. You can get the full prospectus here. Better still, you can book your place right here. In case your wondering, here’s the list that he has come up with…. You should come. 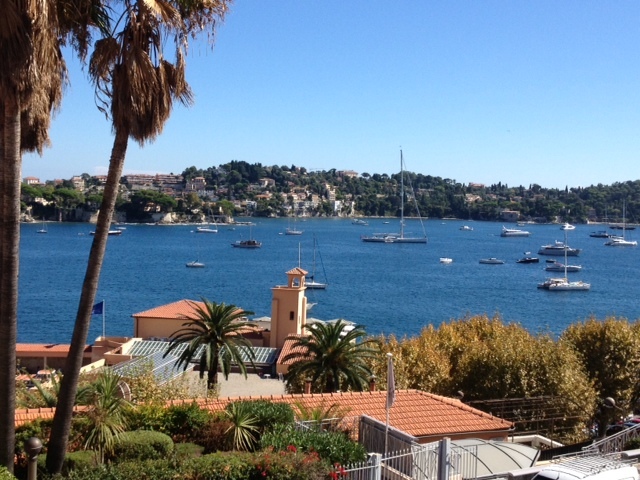 It’s on the 23-25 October in beautiful Villefranche-sur-Mer. You can download the full prospectus here. Brian likes to ask big questions. He’ll ask ”What is it that fascinates us when someone risks everything to save a stranger?”, before bringing to life our bravest contemporaries and fallen friends. He suggests that their acts of courage touch the mystery of existence. And he explores why courage can sometimes be almost as contagious as fear. 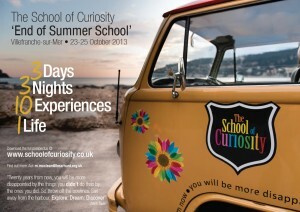 We are going to be doing something quite different at The School of Curiosity. Have you got the courage to come? Here’s a picture of our ‘school’ taken just now on the last day of September. With three and a half weeks to go to our “End of Summer School’, we can’t guarantee you this kind of weather, but the chances are it will look just like this on 23-25 October. The average temperature in Villefranche-sur-Mer for October is 19 degrees. If you haven’t booked your place yet, what are you waiting for? Here’s the full prospectus and here’s the booking page. Already we have an eclectic mix of people coming from US, Canada, Russia, Holland, France, Norway, Denmark, Monaco and the UK. Don’t dither…”In twenty years time you’ll be more disappointed by the things you didn’t do than by the ones you did do”. 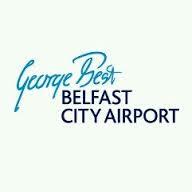 Watt Nicoll, the septuagenarian whirlwind who was voted the World’s Most Inspirational speaker, looked over his coffee cup in the cafe at Belfast City Airport and said one sentence. It was 2005 and it planted a seed. Years later that seed was to grow into The School of Curiosity ‘End of Summer School’ Villefrabce-sur-Mer 23-25 October. You can download the full prospectus here. “Wonderful you are going ahead with The Curiosity School because it is the singularly most intriguing and exciting concept I have heard of in absolute ages”. Oh. You’re wondering what it was that he said? Well come and find out…at the same time as he does. We like this. 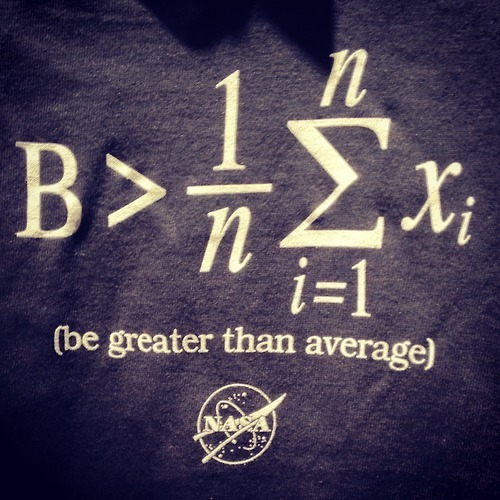 Ian Stewart say’s of his book 17 Equations That Changed the World…. “The power of equations lies in the philosophically difficult correspondence between mathematics, a collective creation of human minds, and an external physical reality. Equations model deep patterns in the outside world. By learning to value equations, and to read the stories they tell, we can uncover vital features of the world around us… This is the story of the ascent of humanity, told in 17 equations”. That’s right. Equations have important stories to tell, like this one 3 nights + 3 days + 10 experiences # 1 life. 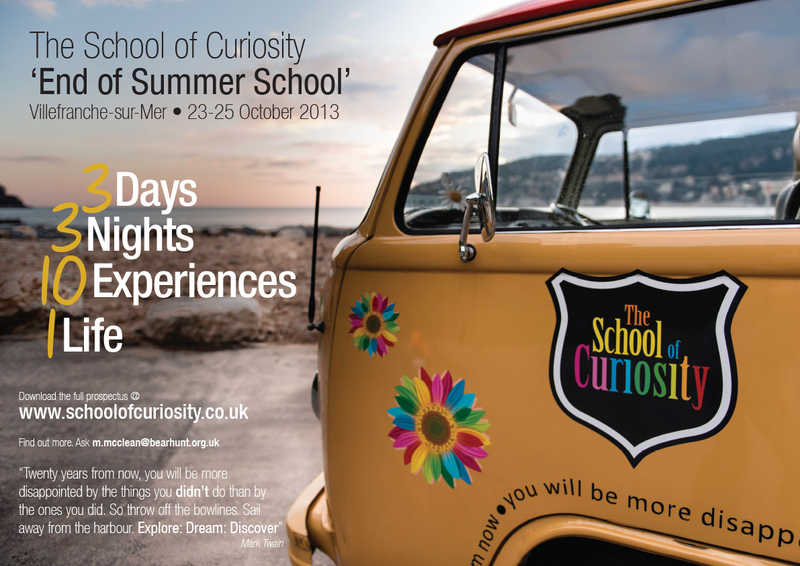 It’s the equation we use to describe The School of Curiosity ‘End of Summer School’, 23-25 October Villefranche-sur-Mer. You can download the full prospectus here. Maybe, just maybe, it will be the 18th equation that changes your world. Yes, we know it sounds like the opening line from a stand-up comedy routine. It would be funny, if it wasn’t true. These are just three of the faculty that will bring to life The School of Curiosity experience at our ‘End of Summer School’ Villefranche-sur-Mer 23-25 October 2013. You can download the full prospectus here. Lord Andrew Mawson: One of the world’s great social entrepreneurs. 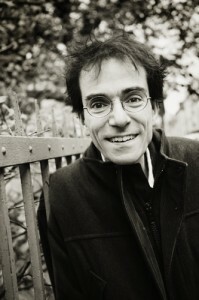 The original ‘Yes Man’. Dr Brian Palmer: Branded ‘Nerd Hero’ at Harvard where 600 queued to hear him. Expert on happiness. Eleanor Yule: BAFTA nominated film maker asks how will your story end? Tom Calderbank: Son of a witch; poet; philosopher; rescuer of ancient buildings. Malcolm McClean: Used the principles he found in a children’s story to create a business and a new life. Dawn Gibbins: Gave away £250K on TV’s Secret Millionaire then decided to Feng Shui a whole town. Marina Nicholas: Conceived Bruno when doctors said impossible. Sold house to make one minute of cartoon animation. Sold in 38 countries. 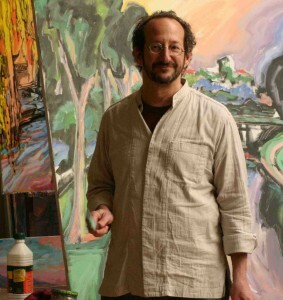 Jeff Hessing: US artist who will re-aquaint you with the ‘art of seeing’. Felix Richard: Lithographer who produces beautiful prints on ancient presses. Watt Nicoll: Voted world’s best motivational speaker. Say’s “You can have anything you want if you can answer four simple questions”. Surprise guests: Don’t be surprised if we surprise you. 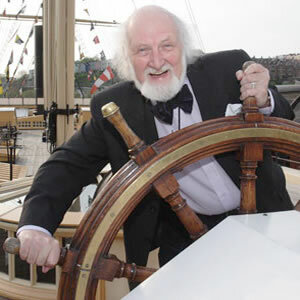 Thirteen years ago Malcolm McClean, Founder of the School of Curiosity, had fallen out of love with his work. He wanted to do something else but he wasn’t sure what it was. When his wife announced that she had fallen out of love with him too, he found himself without a job; seperate from his children; without a home; and with a substantial divorce settlement to find. So he did what anyone would do…he went to live in a beat up old caravan in a farmers field in the midst of a freezing English winter. Laying down a blank sheet of paper on the caravan table, he resolved that when he knew what he wanted to do with his life he would write it down. Eventually after some months and a couple of pints of strong lager, it came to him. 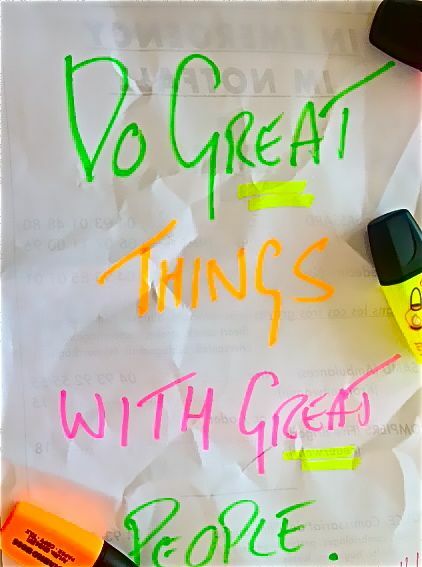 He wrote it down and then said it out loud to see how it felt “Do great things with great people”. He liked it. That became his business plan, and it still is. You can find out more at The School of Curiosity ‘End of Summer School’ Villefranche-sur-Mer 23-25 October, because he’ll be there…just doing great things with great people. You can download the full prospectus here. Yet Bearhunt continues to be a remarkable success and a breath of fresh air in a world of corporate catchphrases and management mumbo-jumbo. Of course it’s more than just a few principles from a children’s story. In 2005 Malcolm set down the principles in Bear Hunt – Earn your living by doing what you love, published by Capstone, which has since been translated into Chinese; Turkish; Romanian; Korean; and a special version has been created for the Indian market. He says “You would expect me to say this, but these principles really work – whenever I get stuck or distracted I get a coffee and re-read Bear Hunt myself as a reminder to keep on doing what I’ve been doing. Ever since that momentous decision to do great things with great people, I’ve been able to do something that we all should aspire to – earn my living just by doing what I love”. Since then he’s founded The It’s a Goal! Foundation www.itsagoal.org.uk; The School of Curiosity; written three other books and become a Sunday Times Best Selling author. Right now he is working on a novel ‘The art of being one’ in Villefranche-sur-Mer. Maybe there’s something in this idea of ‘Doing great things with great people”. What? Your chair has four legs? Jeff Hessing, resident artist at The School of Curiosity, reckons our minds are full of preconceptions and that the process of painting is a great way of challenging what we think we know. Challenging what we think we know is one way to find new insights, meanings and even new ideas. This will be his theme when he leads the art workshops at our ‘End of Summer School’ in Villefranche-sur-Mer 23-25 October. You can download the full prospectus here. He’s exhibited all over the world, mainly the US, China and France and is as excited about the “End of Summer School’ as we are. He says “Painting is a lot more than putting marks on a page or canvas. It is a way of seeing. We see with our mind. Our eyes are merely lenses. Over the years our minds develop countless preconceptions about how things appear so it can quickly interpret the world around us. For instance; chairs have four legs. The novice artist looks at a chair then looks at the paper. His mind tells him chairs have four legs which he then draws. But in reality he cannot see one of the legs from the angle he is looking because it is hidden by the seat. In my class we will do exercises that force us to really see familiar objects as if for the first time. To short-circuit our preconceptions. This same process applies to all problem solving. Our minds tend to go to old familiar solutions, to follow well used patterns of thought rather then see things with fresh eyes and come up with an innovative idea”. How many legs has your chair got?